When the biggest bucks somehow materialize out of nowhere you better be ready to make the most of it. 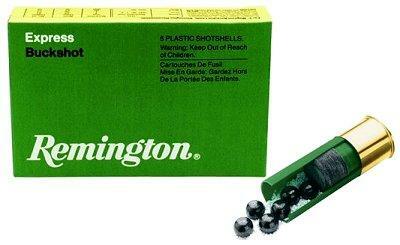 Remington's buckshot lets you shoot with the confidence once possible only with a rifle. The reasons for choosing Remington are numerous. Some say it's unbeatable value. Regardless of the reason, we remain unwavering in our sprit of a legendary brand. One of the great values in shotgun deer loads. A combination of heavy cushioning behind the shot column and a granulated polymer buffering helps maintain pellet roundness for tight, even patterns.